Sample & Variety Packs Canada's most reliable and trusted Kratom vendor! For those new to Kratom this is a 50 Gram sample starter pack. It contains a 25 gram sample of an upbeat strain (Maeng Da) and a 25 gram sample of a relaxing strain (Red Horn) If you are new to kratom and unsure of where to start try the 100 Gram starter pack.it has 2 relaxing strains (Red Horn & Red Vein Borneo) and 2 upbeat strains (Maeng Da and Super Green Malay) to sample . For those new to Kratom this is a 75 Gram sample starter pack. It contains a 25 gram sample of an upbeat strain (Maeng Da) a 25 gram sample of a relaxing strain (Red Horn) and an option of 25 gram of any other strain you want to add. Please leave us a note during checkout. Three 100 gram samples of the highly esteemed Horned strains. Red Horn, White Horn and Green Horn. Great Value ! Customize your own 300 gram variety pack. Just choose what strains you want from the drop down menu. Customize your own 400 gram variety pack. Just choose what strains you want from the drop down menu. 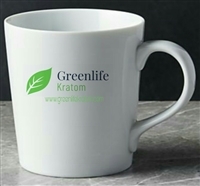 Our branded mugs make a great gift for Kratom lovers. Get 1 Kilogram of any of our premium Kratom strains split up 2 ways (500 grams each pouch) or 4 ways (250 grams each pouch) and save big. Just selsect which strains you want from the drop down menus and we will take care of the rest!